When youngsters in Stockholm go shopping they can buy their toys in a new “automat for playthings.” The display machine is divided into bins with a window in each bin. 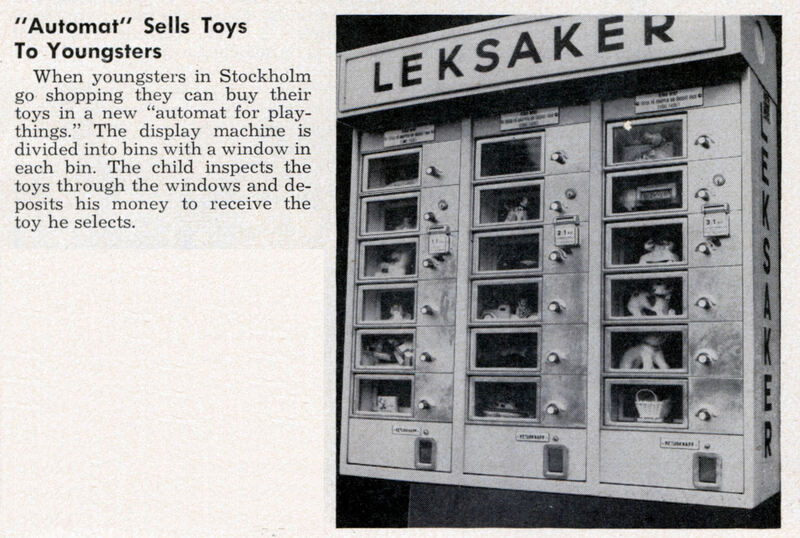 The child inspects the toys through the windows and deposits his money to receive the toy he selects. I heard the Japanese sell unusual items in their vending machines. I couldn’t find a weird example, so….this….